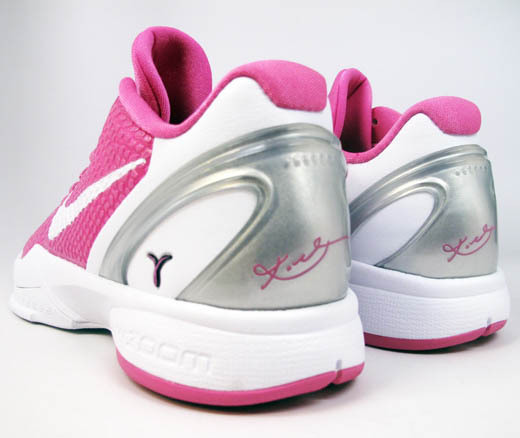 Tomorrow, the ongoing partnership between Nike and the Kay Yow Cancer Fund will grow by one with the release of the "Kay Yow" Nike Zoom Kobe VI. 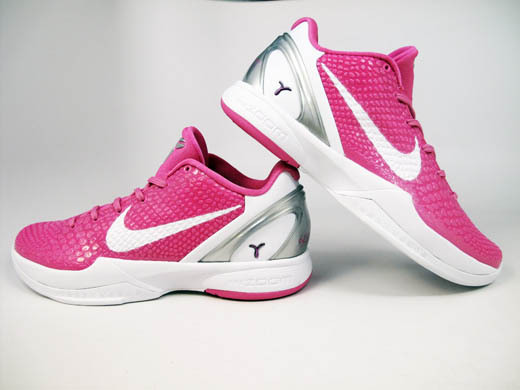 Tomorrow, the ongoing partnership between Nike and the Kay Yow Cancer Fund will grow by one with the release of the "Kay Yow" Nike Zoom Kobe VI. Sporting a pinkfire snake-textured polyurethane base, the shoe is accented by white on the Swoosh logos and heel, as well as metallic silver on the Shozoku and external heel counter. A Breast Cancer Awareness ribbon appears on the lateral side of the heel, while a white and pink outsole finishes off the look below. 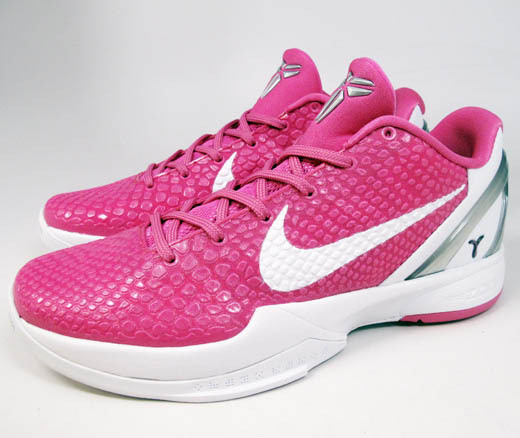 Look for the "Kay Yow" Kobe VI to hit select retailers, like 21 Mercer and NikeStore, tomorrow.